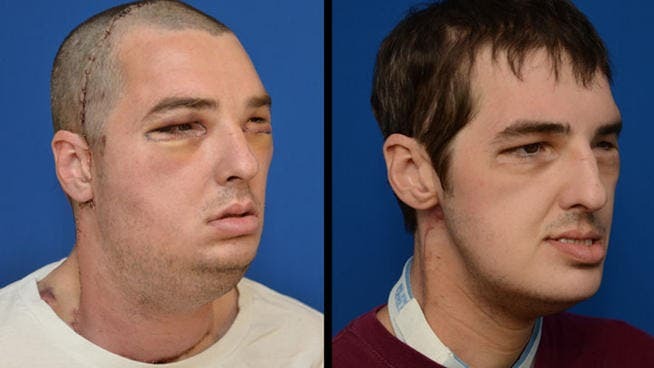 Facial transplant recipient Richard Lee Norris immediately after the operation (left), and seven months later (right). A while ago I reported about one of the most astonishing medical stories, when Richard Lee Norris, a terribly disfigured young male, received the most comprehensive face transplant in history. During the procedure, both jaws, teeth, facial soft tissue from the scalp to the neck and sensory muscles indispensable to facial expression were replaced. After seven months the results are staggering, and the patient is doing better as each day passes. 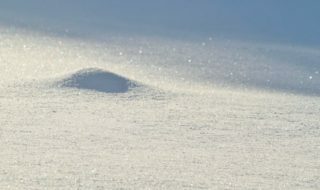 The 37-year-old Richard Lee Norris was severely mutilated following a gun accident in 1997, when he lost his lips, nose and was left with a limited movement of his mouth. In March of this year the patient received the most comprehensive facial transplant to date over the course of a tiresome 36 hours procedure. Here’s a photo of Norris before his surgery (warning! very graphic). Currently, Norris can smile and show facial expressions, and also smell, taste and eat. The motor function on the right side of his face is about 80 percent of normal and motor function on the left side is about 40 percent, according to his doctors, but he’s currently continuing to show progress.